Take advantage of long weekends and head to the famous UNESCO World Heritage city of Melaka. Famed for its rich Portuguese and Dutch heritage from years gone by, this city is flocked by hundreds of tourists on a daily basis. But if you look hard enough, you’d find great local gems away from the tourists’ hotspots. Being in a town where food literally dominates the scene, I dived into a controlled gastronomic fare. My mantra: Eat only to satisfy the palate and never enough to satisfy the tummy. And that was how I kept to moderation! A must try is the durian cendol on Jonker Street, a creamy dessert of shaved ice, green stringy jelly, beans, corn, dollops of the durian flesh and a hearty drizzle of thick palm sugar. 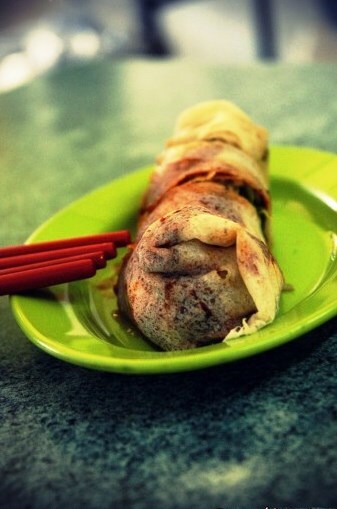 Look for Jonker 88, you won’t miss it as there is a perpetual line of customers waiting to be seated. The next day I discovered another hidden gem called Baba Charlie, a haven for homemade Nyonya kuih. Located at No.72, Lorong Pantai Tengkera 2C (about 2 minutes’ drive from Jonker along Jalan Tun Cheng Lock), the house exterior actually looked like a mega-sized kitchen with trays, pots, woks and kitchen utensils decked all over. I started to doubt if I got the right place, but as soon as I stepped into the house, my doubts melted away. 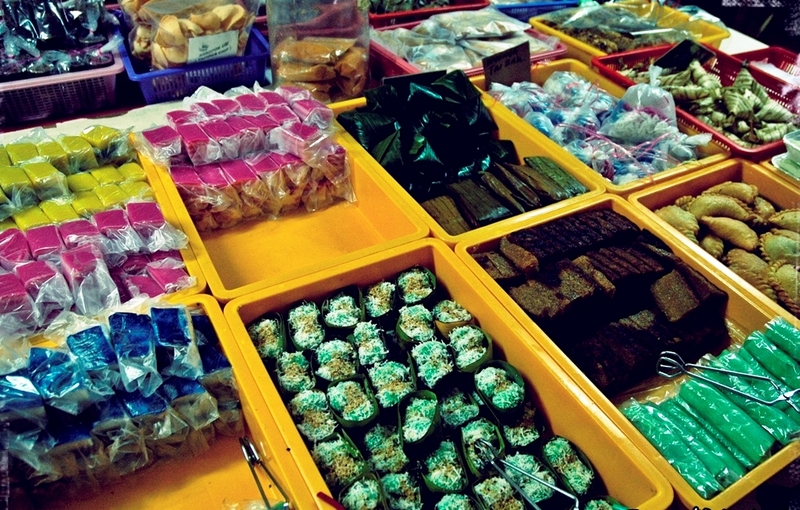 A colourful patchwork of delectable kuih’s filled the table. A fickle mind and a growling stomach did not help with the selection. Everything looked good and the kuih’s came in different sizes, colours and filling. A tip, ask if you are unsure. Other customers are more than willing to help you choose the best buys. 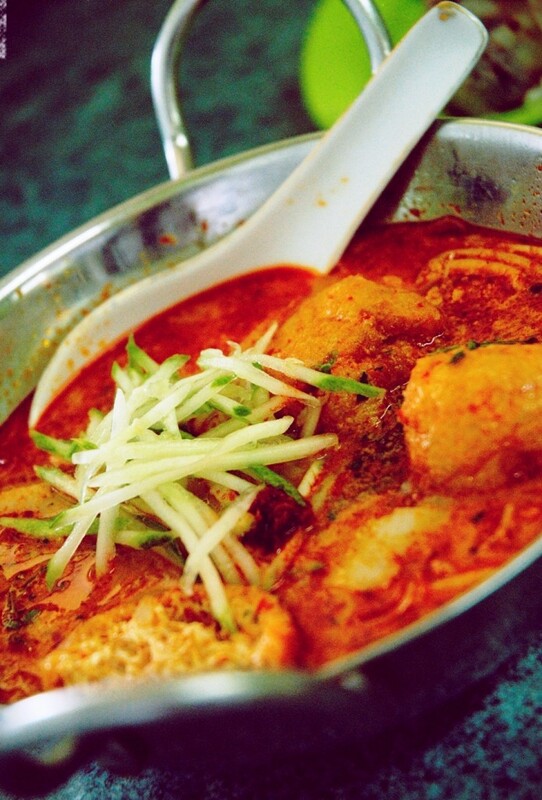 For lunch, I fortuitously stumbled on the Hajjah Mona Assam Pedas Restaurant located at No. 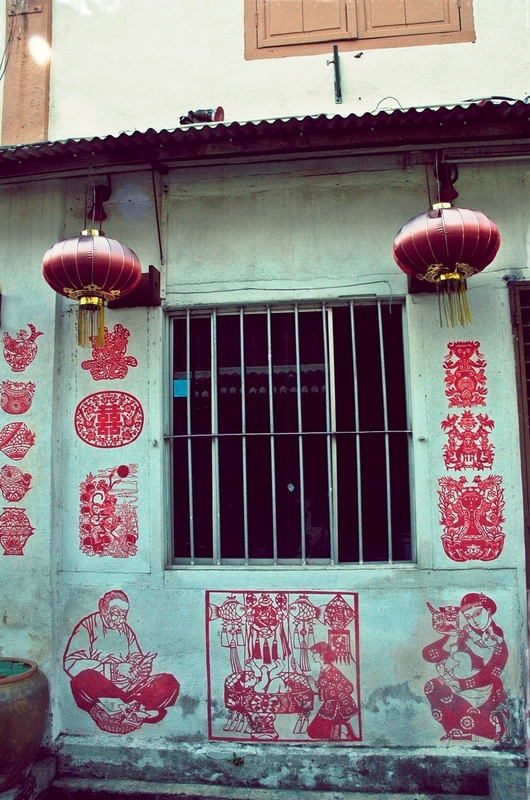 6, Taman Kota Laksamana (just a few streets away from Jonker). It was actually the smell that wooed me in. If you are up to a hot and spicy meal, don’t miss out on this. This Malay restaurant serves up the best assam pedas; fish bathed in red hot assam pedas gravy served with hot steamy white rice. Finally to seal the night with something sweet, try Putu Piring, light fluffy cake dough filled with palm sugar bits that melt in your mouth. There is a warning that if you start, you cannot stop! Find the tiny stall located along Jalan Tenkera at No.252 (next to the Sports Toto shop). It only opens in the evening from about 7pm till late. Self-learning and discovery is what Frangipani Resort and Spa promotes. Dispersed all over the resort are little notes, reminders and thought prodders informing guests of their green practices and encouraging them to participate in this noble effort. The green team at the resort are well trained environmental wizards with a flair for communication. Throughout our stay there, new features, ideas and innovations were revealed to us – from the way the new eco-friendly building was constructed to incorporate a garden rooftop to reduce heat transference to the guests’ rooms to the traditional sophisticated method of waste water channelling. This modest resort tucked away on the quiet stretch of Pantai Tengah, Langkawi, Malaysia boasts of its seclusion and family friendly features. A generous expanse of rugged beach spans the resort overlooking several bold and luscious islands across the horizons. Families enjoy day activities offered by the resort and settle in at night with music at dance at the Mentari Restaurant serving local delights that suit the international palate. Frangipani is seriously committed in putting the 3R concept (Reduce, Reuse and Recycle) into practice by monitoring, managing and innovating new ways to minimize waste generated in the resort. With the water shortage concern on the island, the resort is mindful of the impending scarcity and has built 85 water tanks to harvest rainwater. The rainwater is treated and channelled to various pipes for washing and gardening. The resort even has its own wetlands where grey and black water enter from septic tanks. This waste water is naturally treated by a precise selection of plants such as water hyacinth, convolvulus, mimosa and water lilies coupled with a mechanically induced aeration pump. The treated waste water is then pumped out of the wetlands for gardening and sustaining the veggie patch and animals on its little farm. Blessed with 10 to 12 hours of sunlight a day, the resort has taken advantage of the natural light and heat by installing solar panels on each building. Hot water offered to the guests’ is heated by solar panels as a result eliminating the need for electric-generated heaters. Generous and passionate about educating guests’, travellers and local communities, Frangipani frequently hosts environmental education workshops for student groups from universities and local schools at the resort. On top of that, Frangipani is committed to support local communities through a mesh up of environmental education and economic support. One such example is a social project with the single mothers at Tuba Island to produce and sell handicraft made from recyclable and natural materials such as newspapers, sea-shells washed ashore and pandanus leaves. Frangipani Langkawi has come a long way and its success story lies in the owner’s vision to see the resort as one of the greenest properties in Malaysia.